Thanks for helping spread the word of GERP - we are thankful for all the love and support we have received as we push ahead to build our brand. As a bootstrapping start up we rely heavily on social media to help bring awareness to our products and share our story. Your help is greatly appreciated! We are thankful to reside in such a supportive community. 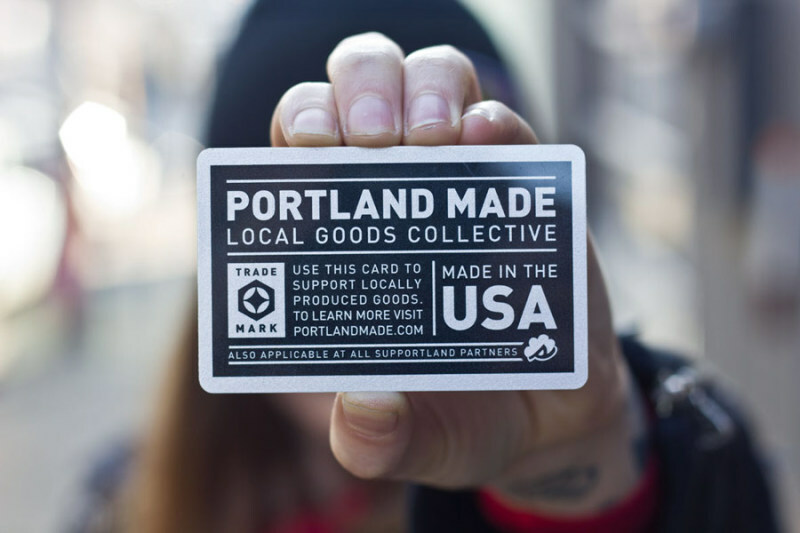 Portland is home to a vast array of talented artists, creative types, and tech enthusiasts. We also have a booming start up scene and the most food carts per capita. With this we have become home to some amazing thriving small and micro businesses. We are proud to have invented a product that allows these courageous entrepreneurs to become more efficient with their mobile payment processes. Currently we hold a design patent and 1 utility patent with another pending. 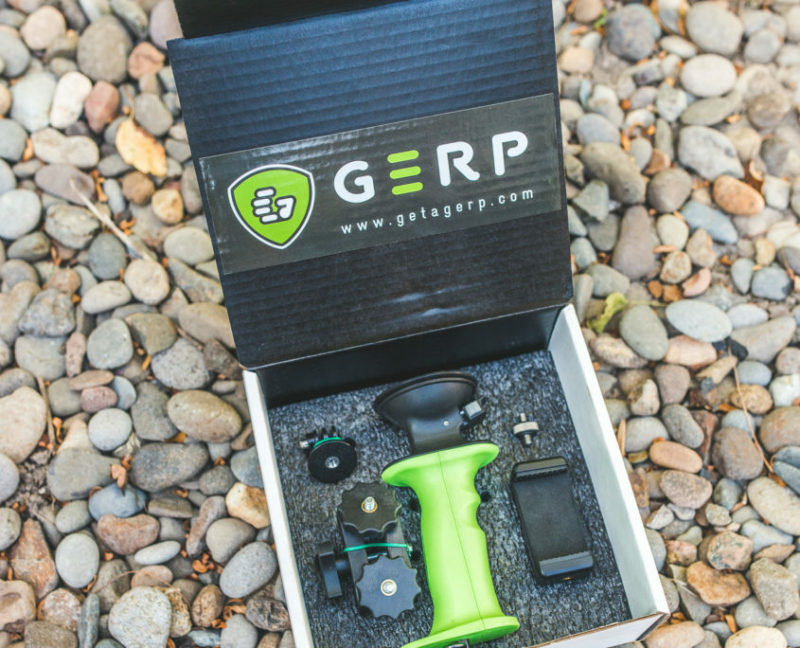 GERP is also a trademark owned by our parent company. 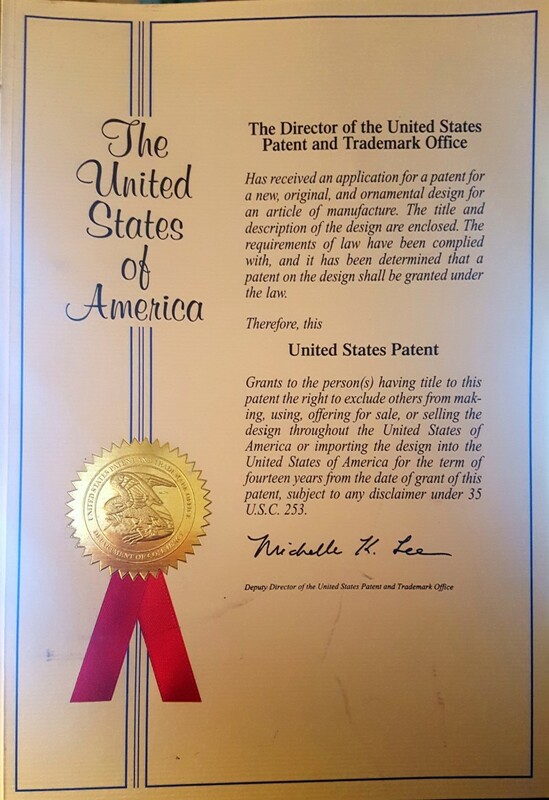 IFor more information about specific patent details you can contact us and we will get you in touch with our Patent Attorney. The Gerp grip was designed to be a unique mutli-purpose tool. 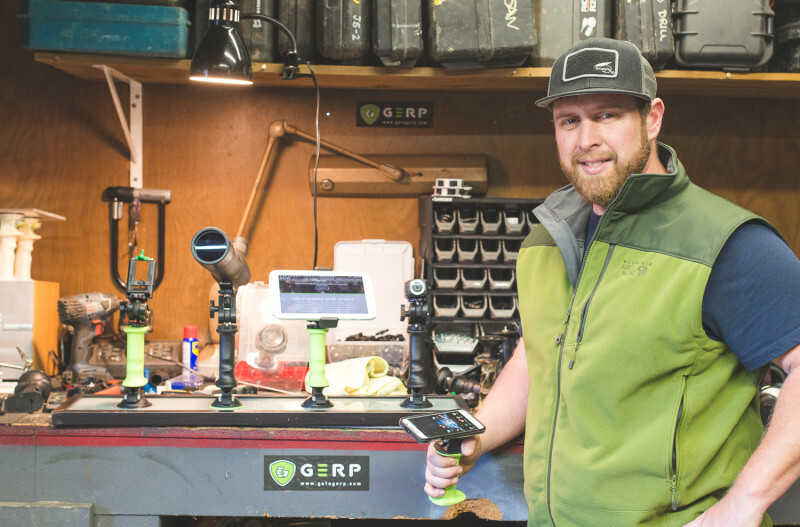 Whether you use it for a grip for your gadgets or find it handy as a life hack tool , the Gerp is simple and fun to use. 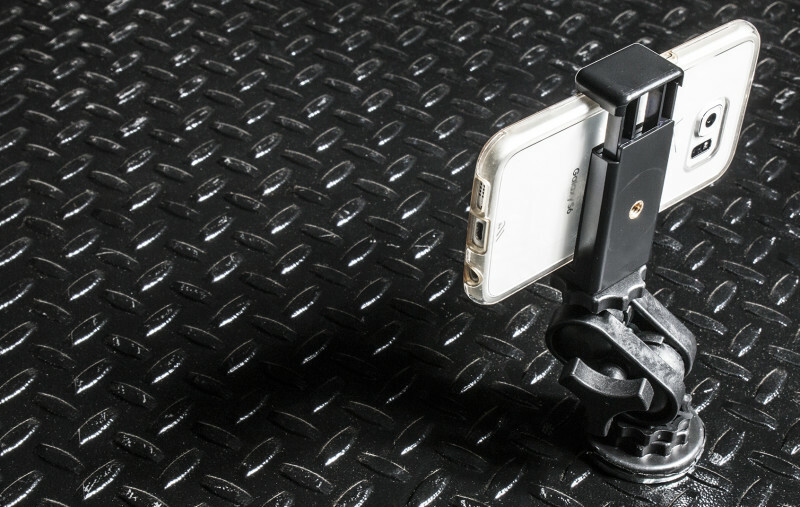 Attach whatever camera gear you can think of to the standard tripod receiver. 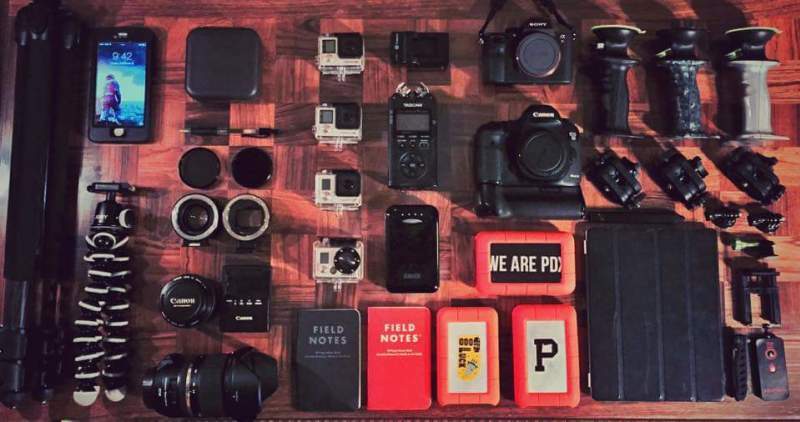 The strong suction and sturdy build can hold all sizes of DSLR and action cameras. Equally useful for holding and mounting other gear such as spotting scopes range finders. smart phones, and of course tablets. Gerp is all about making connections!